ISO HOTSWAP KEYSWITCH INSERATION PLACE EXTREMELY LOOSE! FOR KAILH SWITCHES (NOT FOR GATERONS). PRESSING ENTER ON THE EDGE WILL PULL THE KEYSWITCH HALF WAY OUT OF THE MOUNTING PLATE! I SUGGEST FULL AVOIDANCE OF THIS KEYBOARD IN ISO, UNTIL THIS PROBLEM, WHICH APPEARS TO BE MOUNTING PLATE RELATED, IS FIXED! this is would be the website to chose parts u want/not want . switches are also hot swappable, meaning if u end up hating the switch u got u could replace it later without having to solder or order a new board, as long as the switches are without pcb mount stems! but it seems to be good value and decent quality to me from what i read and stuff, and for me it was the only 60% ish sized iso kailh box white keyboard in existance, unless u order a fully custom build to build yourself or prebuild for A LOT! more from “kbdfans”. so there’s an option for u i thought i mention, do your own research and switch testing first, good luck have fun! Must they be Mechanical? Quiet is going to be rubber dome or membrane. Corsair makes a pretty decent rubber dome keyboard in the K55. Typing on one right now and it’s certainly not loud. I know, I know, mechanical switches are “superior”, but it’s a good compromise and they’re really not that expensive. 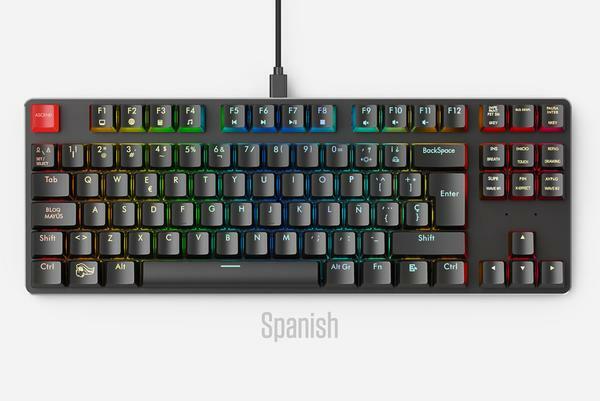 I’ve never used them, but mx clears are supposed to be a quiet alternative to browns, and there is a quiet variant of reds that I imagine was designed for streamers. Do you like the clears? I’m grew up playing the piano, and being prone to beating the ever loving crap out of my keyboards. wasdkeyboards uses the WORST! keycaps i have ever used or seen! this is how they looked like at 1 year and 1 month or so and the keycaps only have 1 year warranty mind u, i did get a replacement set even though they were out of warranty, but they would just break again very very soon. this was from a random user on the internet also dealing with super fast breaking keycaps from wasd. 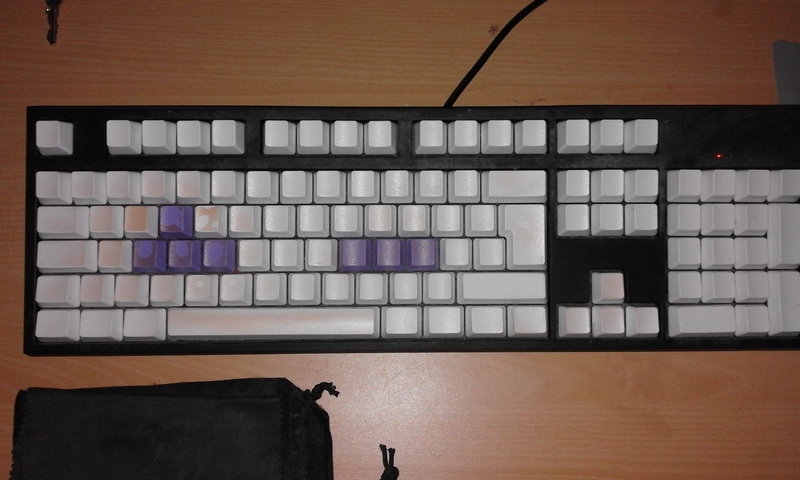 i also as u can see am dealing with color changes on the keycaps, which are very ugly, and i keep my input devices extremely clean. 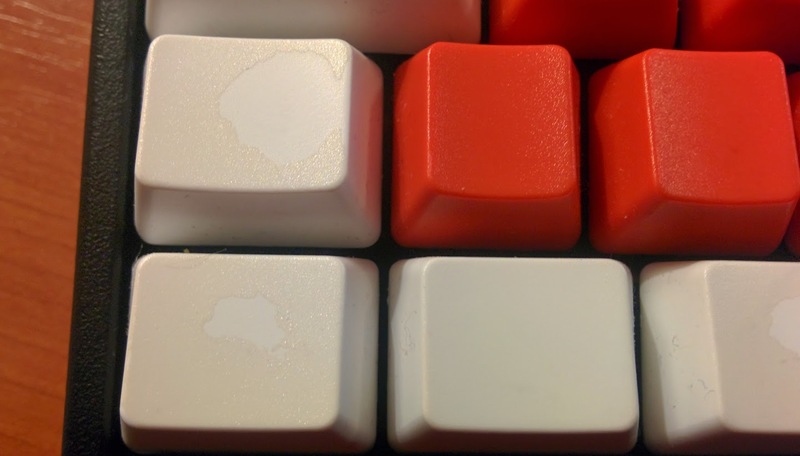 so from personal experience and experience from others i urge people, to stay away from wasd keycaps, they are a waste of money. and as u mentioned and suggested mxclears i would say getting a switch tester would make more sense, especially as a lot of the mechanical keyboard community seems to hate on mx switches compared to other less known companies, like zealpc or gateron. gateron switch feel smoother in my comparison than the cherry mx switch, so i would keep with the suggestion, that at least a small switch tester should be bought, before investing a lot of money in a keyboard. or seeing it differently, a lot of people think, there can’t be sth. better than cherry switches, because they didn’t try any other alternative with similar weight and tactility yet. but regardless of switch again STAY AWAY FROM wasd keycaps. Whew, looks like a hard pass on WASD. I too love domestic violence towards my keyboard. Anyone know of topre ISO TKL models? Did not ask me but YES!!! I, like @SEP, am hard on my keys. I got Zilents, Zeal PCs version of Clears with rubber built into the stem, and then I swapped the springs up to 100g and that is my mobile Bluetooth keyboard. My Desk board has Gateron tactile Clears also at 100g, there as an odd things where Gateron, who make Zeals switches, for a while made his switches and sold them as their own for half the price and I was in the right place at the right time and got them. I intend to replace the reds in my Filco too with clear style tactile switches too, they are amazing. Though I would not call them quieter (except the Zilents they really are quieter). It is all how you use the switches and the boards. @SesameStreetThug literally one of the loudest boards you can get! literally one of the loudest boards you can get! IDK, mine isn’t that loud. My ducky at work is way louder. Is yours one of the rubber dome ones? Something is seriously wrong if any MX board is louder than a proper buckling spring board. You’re telling me it does not sound like this? Nope, it’s definitely a spring keyboard. And it only sounds loud in the video, it’s not that loud IRL.